I recreated this late last year but haven’t been able to test until recently. 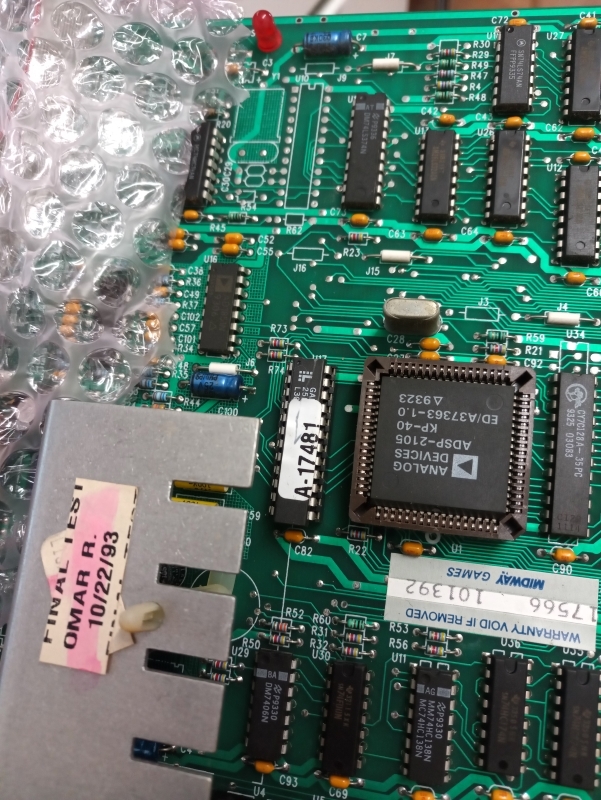 This is the last missing dump from the MK2 hardware. The ID is A-17481 and is located on the sound PCB. Thanks go to JokerCK for lending me his GAL chip to reversing. Also big thanks to JonHughes for confirming the recreation worked for someone other than me. Finally thanks to my good friend Paul for stripping his PCB out of his cab for me to do some testing on. So does this allow for changing the game roms on the board to something like an MK III or even MK 1? not that im aware of but it does allow people with a dead PAL chip on their hardware to get it working again.